Stepping off the plane in Switzerland, I was instantly blown away by the spectacular landscapes. Coming from Ireland, I am used to stunning lakes and mountains, but I don't think I was prepared by the sheer scale and beauty of the mountains. And they almost played a part in Pamela and Louis's wedding, like another character from the day that appeared in every scene. It is always a pleasure filming alongside Christina Brosnan of Brosnan Photographic, but even more so having a familiar face when you're over in another country shooting. Christina was also our navigator on this trip, which was even better as I got to sit back and soak up the landscapes (sorry Christina)! There were a few proposals, and I said yes! Everytime ;-) From our first encounter in London 10 years ago, to a trip to Petra the ancient city in Jordan where we fell in love, to a few years of traveling around the world from almost every European country, to Asia - Hong Kong & Japan, to Central America - Guatemala and Belize, and Africa - South Africa, every continent we stepped foot on was another chapter of our story, and our love built on the miles traveled together - it all created a sense of journey of a lifetime with each other. It seemed one proposal, wasn't quite enough! Hours on wedding blogs, magazines and Pinterest! I looked back with such fond memories of the period of preparations and even Louis enjoyed his search of suits and tuxedos. We took a couple of weekend trips to Bordeaux to source the wine for the wedding, and also to the Champagne region in Reims, where we drove back with a car full of champagne and nothing else! 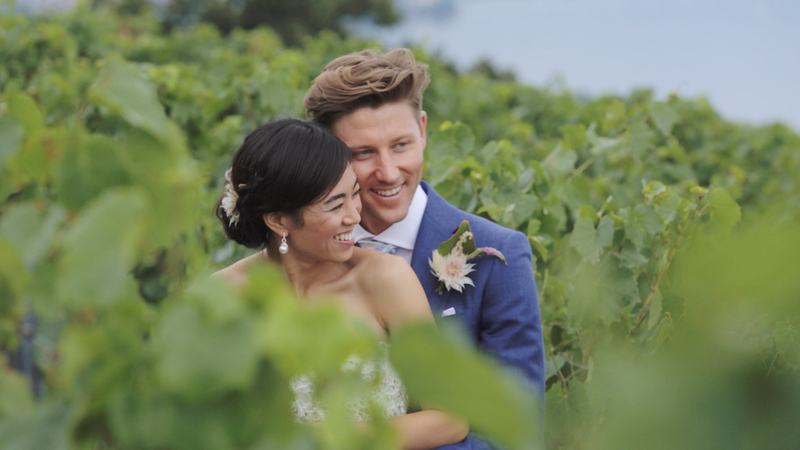 We learnt much about wine and champagne, so it was a process of us growing up to finer things in life ;-) as well as preparing for our wedding. The lead up was months, but the wedding is just one day and it goes by so very quickly, so make sure you enjoy the wedding preparations! Wedding cinematography, do it! Perhaps, the Oscar de la Renta was far too expensive for one day, even the most special of all; at least my husband tells me that every time he opens the wardrobe and see this stunning creation fit for a Princess/Queen/Hollywood movie star! It felt right at the time. It was a 'Wow' moment as I walked down the aisle, even if nerve stricken and just about held up by my father! The blue Oscar was unforgettable for me, the groom, and all of our guests. For sales now!